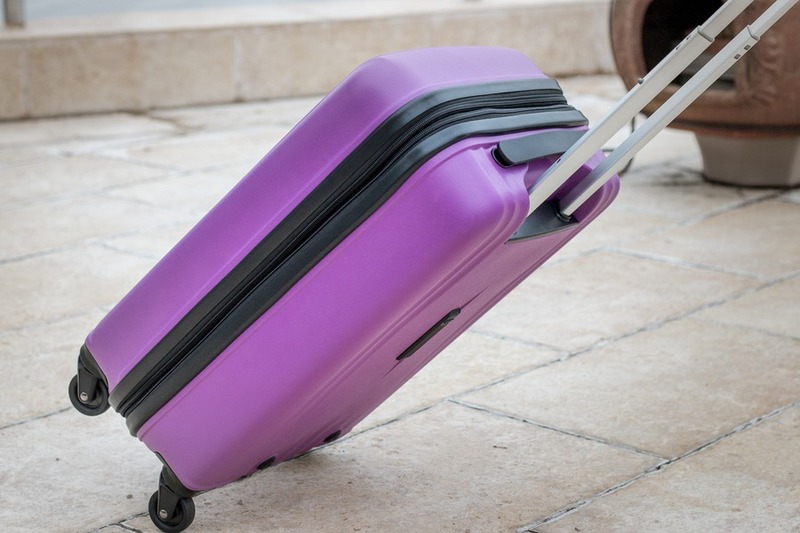 Choosing luggage can be a daunting task when you take the occasional vacation. But even more so for our family who travels the world full-time. There are so many factors to consider – brand, size, colour, material, and features. So I really love it when someone trustworthy can help make that decision easier. Hopefully I can do that for you. 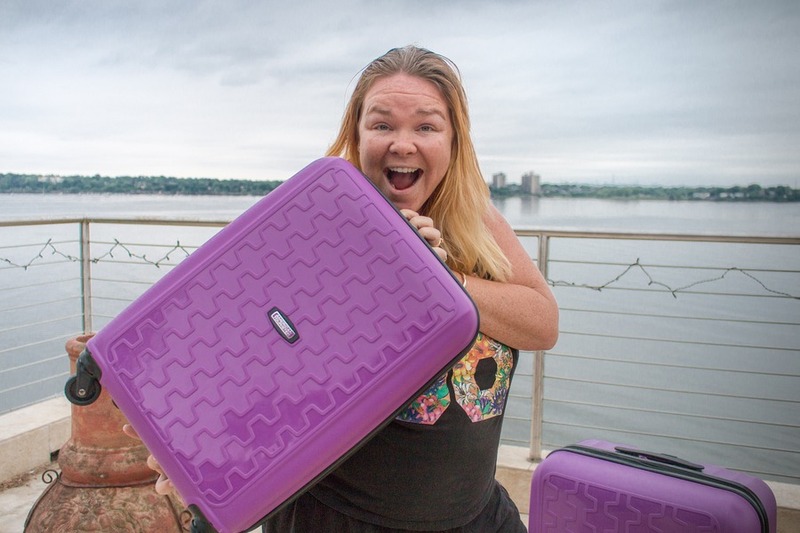 When American Tourister heard that our large suitcase fell apart after a flight with Air Berlin, they suggested we try one of their sets. That turned out to be one of the best travel decisions I’ve ever made. The Duralite 360 3 Piece Spinner Set was the perfect fit for our family of 4 consisting of a 20”, 24” and 28.5” suitcase. Being mindful of our space limitations on our epic US & Canada road trip, I didn’t want anything to heavy and bulky, yet it still needed to be strong enough to handle the daily stresses of loading and unloading. Lightness was another important factor and American Tourister’s Duralite models fit that bill. 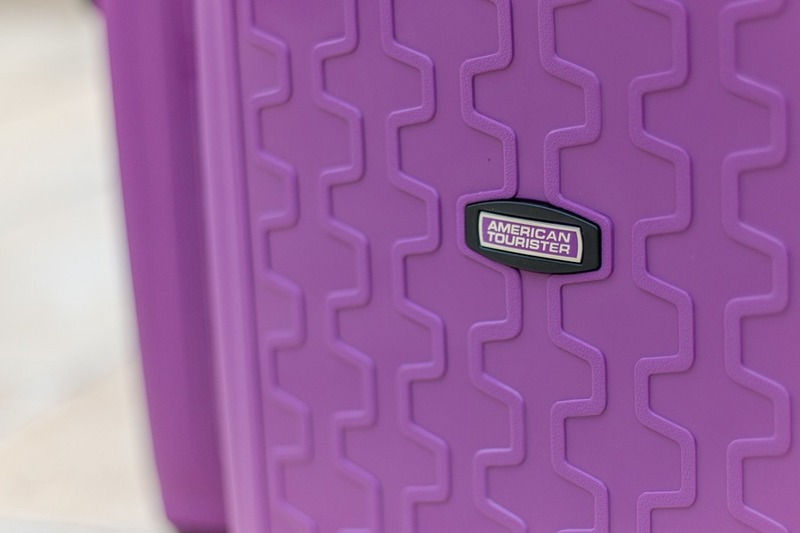 It’s one thing to see the American Tourister Duralite luggage in a retail showroom, but what are they really like in the wild? Well, after using them on our road trip for the last 3 months, our expectations have been met and exceeded. They’re still in solid shape, and showing no signs of slowing down. Strong yet flexible – the exterior shell can take a real beating. Kids sitting on top of them, taxi drivers throwing them around, and even being dropped down stairs. 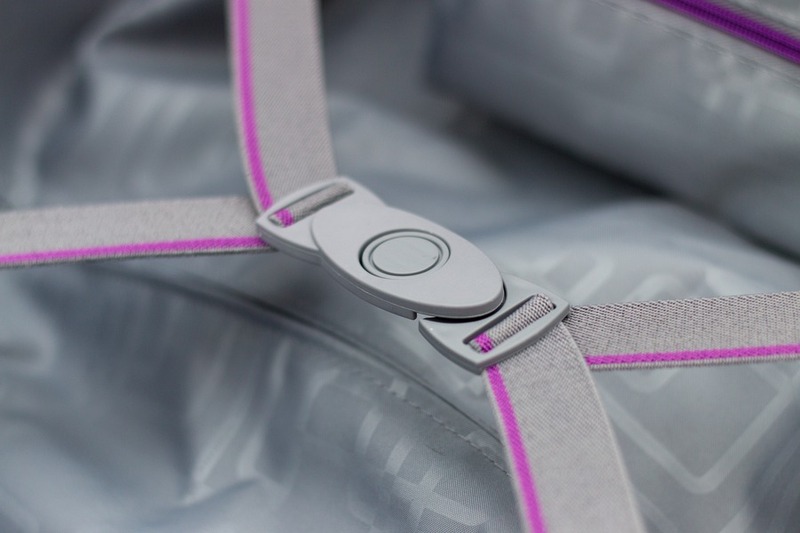 The rigid polypropylene shell protects our gear, yet also has enough flexibility so it’s not brittle. 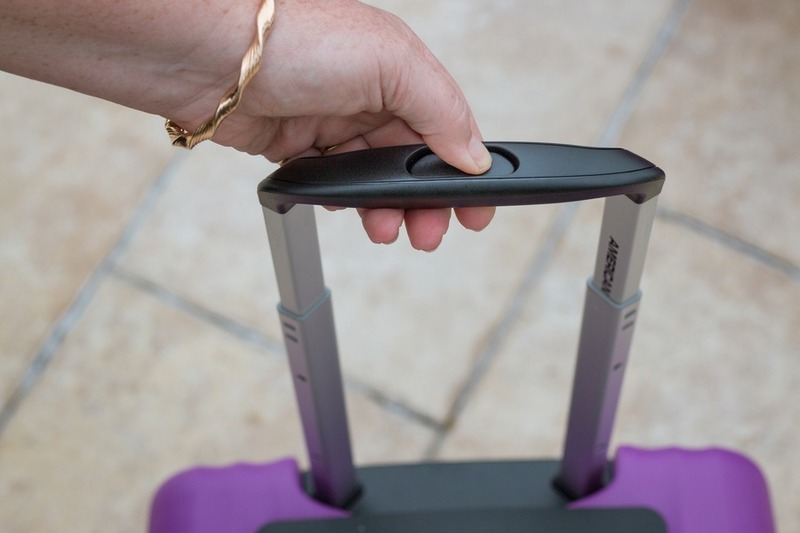 Light – Every time we pack a suitcase for a flight, we pull out our portable luggage scales and cross our fingers. Lighter suitcases means you can do more shopping on your vacation or just fit in more of the things that make your getaway better. Durable zips – There’s nothing worse than zipping up your suitcase the day before you fly to your vacation and the zipper splits. 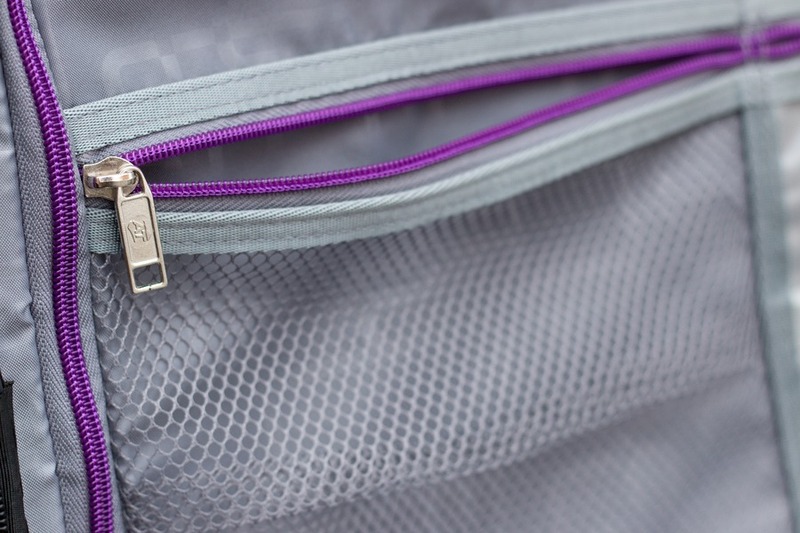 The Duralite zippers are heavy duty and have a real solid feel. 360-degree wheels – Rolling suitcases through airports and wrangling children at the same time requires a high degree of skill. But it’s so much easier when suitcases roll smoothly exactly where you expect them to go. In fact, these little beauties roll so effortlessly we can get our 5-year-old to push them for us. It’s a game for him, but one less thing for us parents to carry. Win-win! Internal pockets and restraints – the vented internal pockets are handy for thin items that require easy access such as documents, jewellery, photos or other knickknacks. Separate translucent plastic pockets are pleated for expandability. 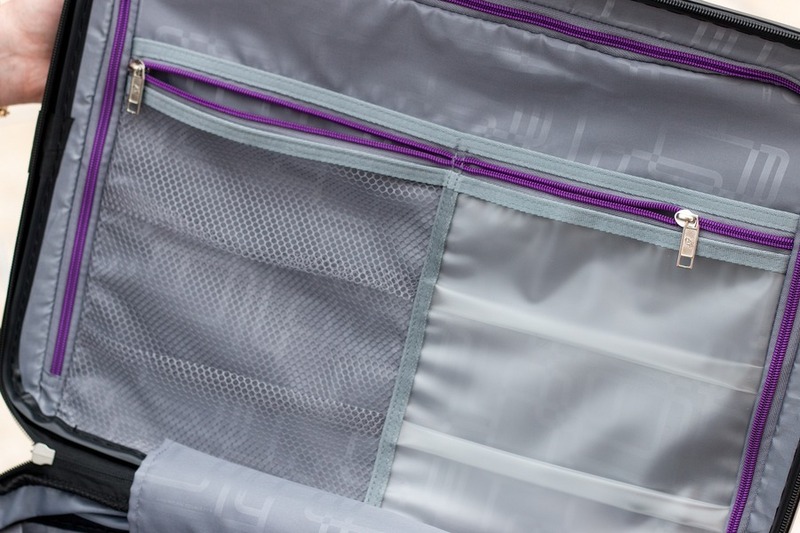 An elastic restraint strap with a foolproof clasp keeps clothing in place, and zipped dividers create 2 large compartments within the suitcase. This prevents the dreaded moment when you open the suitcase and half of your clothes spray out of place like a jack-in-the-box waiting to pop. 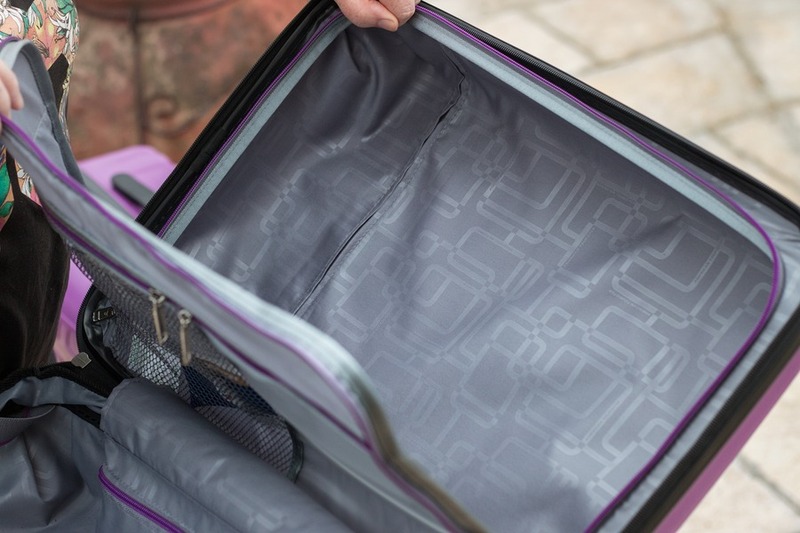 Expandable – a sturdy zipper allows each Duralite suitcase to expand 2” providing even more storage space. Colour – Why limit yourself to boring luggage colours? The Duralite set is available in 3 glossy colours: Black (for your traditional, unassuming look), Seaport Blue (for lovers of the ocean), and Solar Rose (for folks who love the attention, or just can’t remember which luggage is theirs on the carousel at the airport). Glossy exterior attracts scuffmarks from being dragged around. I expected this with a hard polypropylene shell, but in reality it’s not particularly obvious. On the upside, the glossy finish is recessed from the surrounding rougher textured finish for a little extra protection. No built-in locks. 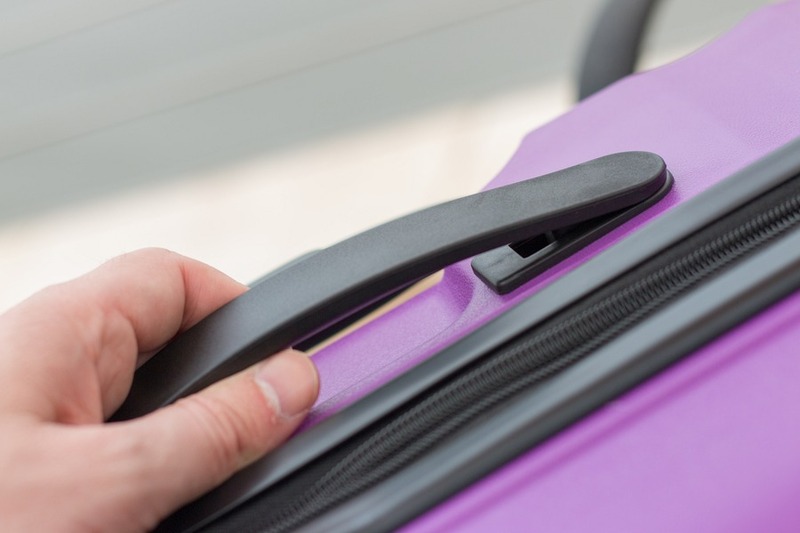 Regular built-in locks are not thief-proof by any stretch of the imagination, but they add a little extra peace of mind when suitcases go through less-than-savoury baggage handlers at airports. 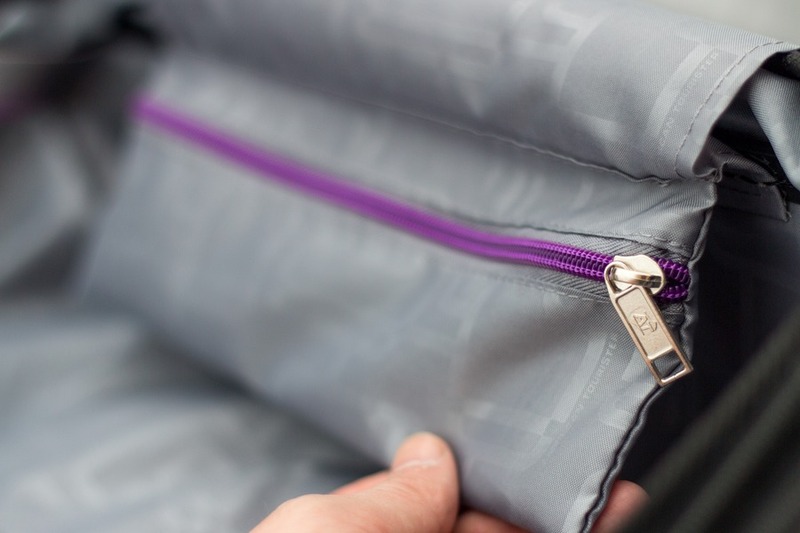 However, the external zips are strong and fitted with large holes to allow an external lock to be easily attached. American Tourister’s Duralite 360 3 Piece Spinner Set is a well-suited match for families or couples who travel in style. What started for us as a damaged suitcase drama turned out to be a blessing in disguise. If you’re shopping around for a new suitcase set, I can easily recommend this one. Or perhaps you’d just rather have your little ones pushing your luggage for you – there’ll be no excuses now. Comfortable top and side carry handles. Good review. I'm Very basic, a backpack from Walmarts. I don't check luggage if I can help it so my staff has to fit in the overhead bins. The big one is bigger than you son, lol. How's the carry on size? I know some of these are too small inside. The carry on is perfect. I've been using it for a few solo trips. I love hard cases and as they are expendable I feel they work perfectly.